Apple Computer 1, also known later as the Apple I, or Apple-1, is a desktop computer released by the Apple Computer Company (now Apple Inc.) in 1976. It was designed and hand-built by Steve Wozniak. Wozniak’s friend Steve Jobs had the idea of selling the computer. The Apple I was Apple’s first product, and to finance its creation, Jobs sold his VW Microbus for a few hundred dollars, and Wozniak sold his HP-65 calculator for $500. 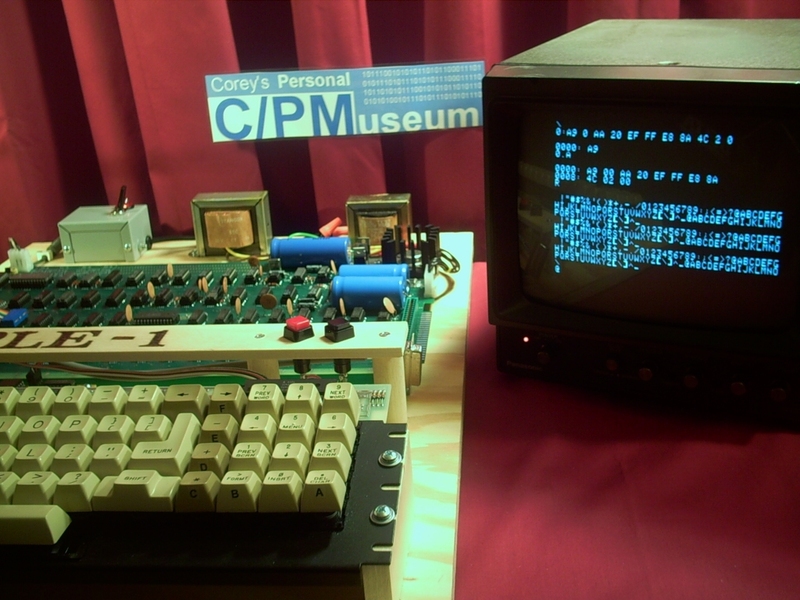 The Apple-1 on display here is a replica, built from a reproduction PCB. 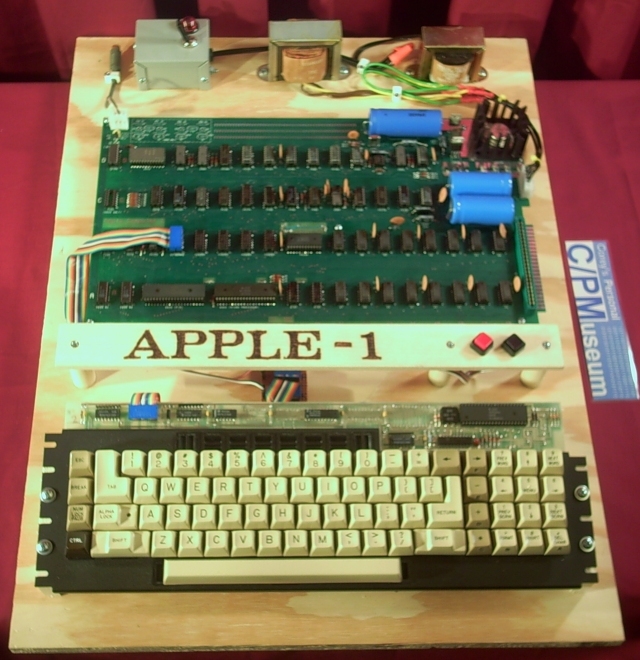 Original Apple-1’s are rare, and typically sell at auction for six figure sums.